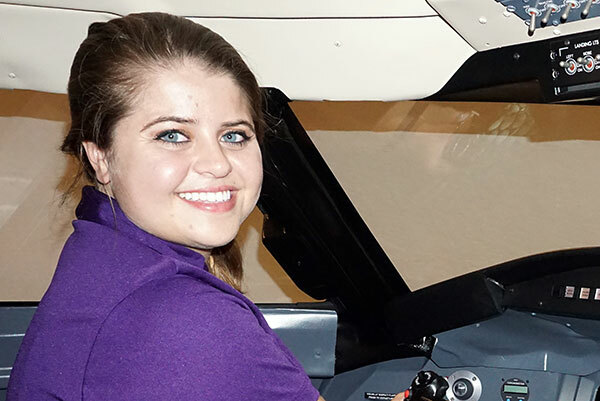 Victoria Monetta, a senior Aviation major, is aiming for a career with Delta Airlines. High School: Pope High School, where she was varsity baseball manager and swimmer. She captained the swim team her senior year. Family: Father, Kenny Monetta; mother, Chris Monetta; and younger sister, Brianna Monetta. Current Employment: Manager at Bath and Body Works and a full-time student. Degree Objective: Bachelor of Science in Aviation Science and Management with a concentration in Flight. Activities: Member of the Eastman Campus Activity Board and vice president of the Women in Aviation club.